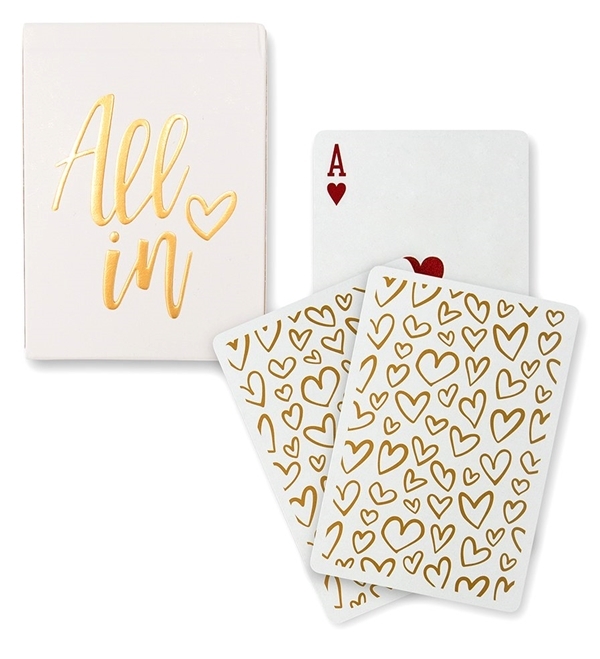 This dare-we-say-it "glamorous" deck of playing cards features a distinctive gold-foil "All In" quip on the sleeve and a gold stylized hearts motif on the back of each playing card. "Talk about service?! The wedding favors ideas are not only beautiful, but they arrived ahead of schedule. I was able to give them directly to my daughter. Thanks!" Annie V.